Last week started with an article where the president and CEO of the American Institute of CPAs, Barry Melancon, called for accountants to embrace emerging technology, particularly the blockchain. Sadly, his choice of words may not have been the best in mobilizing the profession. I trust his intention was to not allow the fear of technology to be the reason we ignore it. I disagree. I believe that we do need to understand the underlying software. Not to the degree of being able to program or develop, but we need a clear understanding of the terminology, applications, and how certain platforms differ from others; particularly as it relates to our respective disciplines. For example, my work with retail clients. I cannot write code for a point-of-sale system, but by learning the underlying systems, I know where to look for vulnerabilities and determine if an area requires additional controls. I had the pleasure of being in studio for The Henry Raines Show this week where we had, Bitcoin pioneer, Charlie Shrem, of Crypto.IQ as a guest. A powerful reminder that what you read and hear is not always a complete story or worthy of developing an informed opinion. Charlie left us with a final thought, the one question we fail to ask, should be our starting point. 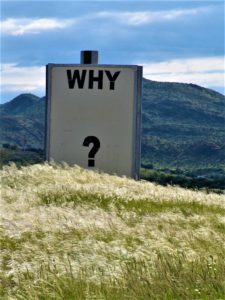 Start with “Why?” And if you think that our current processes and systems are working, if you cannot recall some accounting scandals, failed regulation, or even relate to an example of occupational fraud, I have a primer for you: this presentation by Caitlin Long. Regardless, I urge everyone to watch. She does a remarkable job of explaining the overleveraged nature of our current economy and highlights a couple of accounting examples where “we” could never arrive at the same number twice. For those who revert to asking “What?” and remain comfortable with stopping at the uniformed answers of a Ponzi scheme or “Tulip Mania,” I ask that you refrain from draining the limited US resources in convincing you otherwise at this time. “Why?” As you will hear from both Shrem and Long, the US is so far behind in this space. We need to leverage the resources of the accounting professionals and local leaders like Joel Greenberg, the Seminole County Tax Collector (and another great interview) interested in moving our community and country forward. This post and the contents included are provided for informational purposes and shall not be considered legal advice. This past week on The Henry Raines Show, I talked about airdrops. I have been contemplating what token projects to use as an example for my blog and assisting colleagues interested in learning more about cryptocurrencies, coins, or tokens. I needed a “Rock Castle Construction,” (the iconic QuickBooks® sample company file). Silicon Valley, a show airing on HBO, recently aired episodes surrounding Initial Coin Offerings (ICOs). Shortly after, a clever, well-versed in both the show and the cryptocurrency space, personality appeared on twitter as @PiedPiperCoin. In less than six days, this handle managed to produce a wealth of humorous tweets and material, as well as developing an ERC-20 token and distributing it through an airdrop. I consider myself a connoisseur of low-end whitepapers and tokens. What this handle has managed to assemble in such a short period of time is remarkable. It is the perfect hypothetical (I’ll reiterate it several times … it is a meme, satire, I do not recommend buying, selling, trading or doing anything other than enjoying the show). 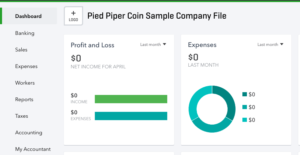 @PiedPiperCoin ($PPI) has constructed a far more transparent project than many of what I have seen. No funds were solicited, and $PPI has provided transparent, timely, relevant data for me to use as examples for many posts and lessons. What exactly is an airdrop? They typically are the disbursement of native tokens (for future or current use on a platform/project). Many refer to them as “free,” I prefer to liken them to a coupon. They can be provided as the result of a fork, a bounty, holding a particular currency or wallet, or being on an exchange. I’ll address forks and possible accounting implications for the ICO in future posts. With social media and larger technology companies banning advertising of ICOs, an AirDrop is an alternative method of creating awareness for the token and project by distributing the native token to potential users. The first airdrop utilized what I consider a set of best practices as a consumer signing up for an airdrop. Most ICOs will ask you to register for an airdrop, providing the Ethereum public address to send the tokens. Protect your private keys. – $PPI asked for your public, Ethereum Address and provided instructions on how to sign up for the two primary ERC-20 token wallets. MyEtherWallet.com (and MetaMask) provides a detailed safety tutorial on the difference between public and private keys. Use caution when downloading native wallets of smaller projects – ($PPI) does not have a separate wallet nor a website requiring registration. Do not click on redirect links to wallets – $PPI gives explicit instructions on how to be certain you are at the correct website with SSL certificates and “Secure” is noted in your browser. Do not send cryptocurrencies in exchange for the airdrop – The $PPI did not ask you to send ETH in exchange for $PPI. 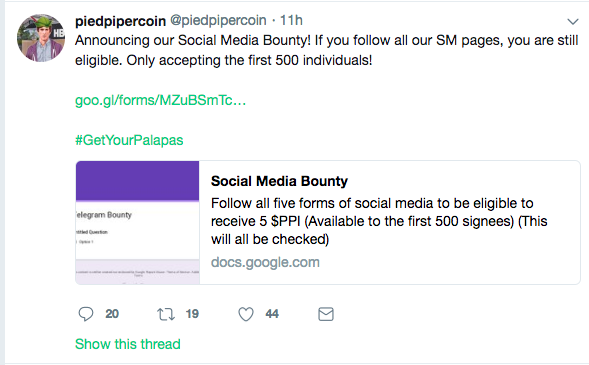 Beware of scams and hijacked accounts – someone is already scamming the satire! After the airdrop completed, $PPI published a post on how to check for your tokens and an additional post covering the history and possible future of the project. I am happy to see in this update that $PPI is going to take some time to focus on the project and building out the team (I can barely keep up, I’ve had to put my cat to work). 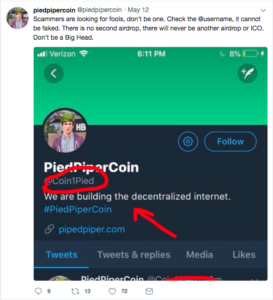 I spy $PPI … tokens in my wallet. 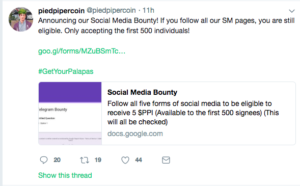 $PPI is offering an additional type of airdrop, a social bounty. I am looking forward to blogging about the additional events and accounting for the transparent smart contract in the days ahead. This blog post is for informational purposes only. Nothing herein shall be construed as financial or legal advice. For the past few years, I have been floating my interest with blockchain technology and cryptocurrencies to peers, family, and friends. Generally, I failed to elicit the necessary enthusiasm to yield more than a one or two minute exchange. One or two minute exchanges grew logarithmically with the price of bitcoin and introduction of alt coins and tokens last fall. The possibility of access to transparent, immutable, real-time data to make financial decisions is what attracted me to this space. With the surge of Initial Coin Offerings (ICOs) in 2017, visions of consuming financial statements danced in my head the first quarter of 2018. Needless to say, I am starving. After attending a couple of local events, I was thrilled to find genuine interest and people willing to tolerate my curiosity beyond a placating smile. I had the opportunity to be introduced to some incredible talent spanning multiple industries and disciplines. You can hear many of these voices on The Henry Raines Show discussing the current developments and news related to bitcoin and cryptocurrency each week. In my short time of being acquainted with participants on and off of the air, I have already been overwhelmed by the depth. While the show should not be taken as investment advice, and exists to inform and entertain; it has proven to be a catalyst of many thought provoking questions that I look forward to exploring in the days ahead. This week, we discuss Goldman Sachs’ formal entry to the space, continue following the debate as to whether bitcoin and other cryptocurrencies are a commodity or a security, and consider implications from the recent class action lawsuit against Ripple. In the second half of the show, we welcome Terry L. Brock, MBA, CSP, CPAE, a prominent speaker, syndicated columnist and video blogger to the show as he inspires author Sabine Priestley and me to explore some of the dApps available for content creation. 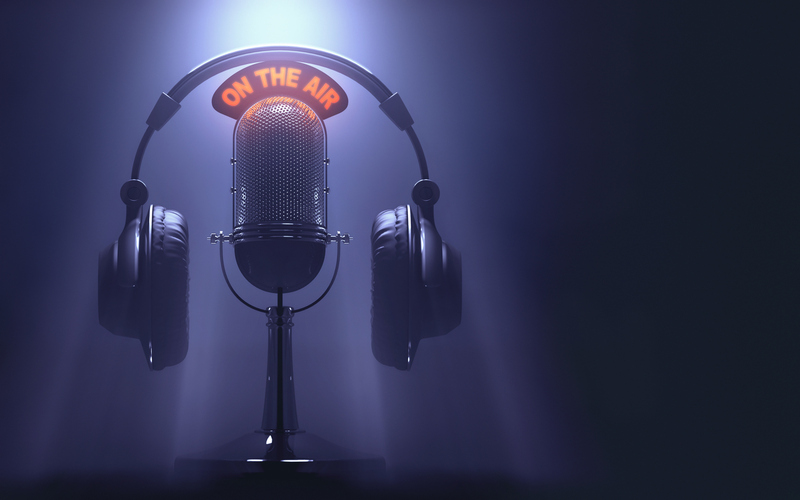 You can listen live every Saturday to The Henry Raines Show on WWPR AM 1490 from 12-1:30 PM Eastern or catch it in your favorite podcast platform.